Pre-registration is preferred. Available on the website, clarkecountyfair.org under Departments-Horses through Show Works. Deadline to preregister is July 31st. All entries must bring a current negative (within 12 months) Coggin’s test result for each horse/pony. For those horses/ponies residing in the Ruritan barn, a copy will remain with the Barn Supervisor during the week of the Fair. For those horses/ponies being shown, this must be shown before a back number is given. It is highly recommended that all horse/ponies attending shows at the Fairgrounds be current with the following immunizations: Eastern and Western Encephalomyelitis, West Nile Virus, Tetanus, Flu and Rhino. THESE IMMUNIZATIONS ARE MANDATORY THIS YEAR FOR ALL HORSES/PONIES STAYING IN THE RURITAN HORSE BARN. Management reserves the right to determine that unruly animals or animals treated cruelly be removed from the Fairgrounds. Hard hats must be worn at all times when a rider is mounted. Junior members must wear safety helmets with approved (USEF or USPC) harnesses. All entry fees must be paid in cash or with good check the day of the show. Management reserves the right to cancel, combine, or split classes if necessary. Gate admission will be charged to vehicle driver, rider, trainer, and parents but will receive a coupon which can be turned into the Horse Show Secretary’s Office for reimbursement. This coupon does not include entry onto the Fair area itself except for the rider. Horse Show Committee and the Clarke County Ruritan Club are not responsible for any accident to rider, animal, property, or equipment that may occur on the grounds. The 4-H/FFAHorse and Pony Show is open to all youth enrolled in a 4-H or FFA Horse Project by May 1st, year of the show. All entrants must show a copy of their current 4-H Horse Project Eligibility/Declaration Form to show management at time of registration. In the event a mount is being substituted, a letter of explanation from the 4-H leader or FFA advisors required. Juniors are riders less than 14 years of age by January 1st, year of the show. Seniors are riders 14 or older by January 1st, year of the show. Beginner Division riders may only cross enter into Showmanship; however, they may enter other classes on an unjudged basis and will still be required to pay the $5 entry fee per class. 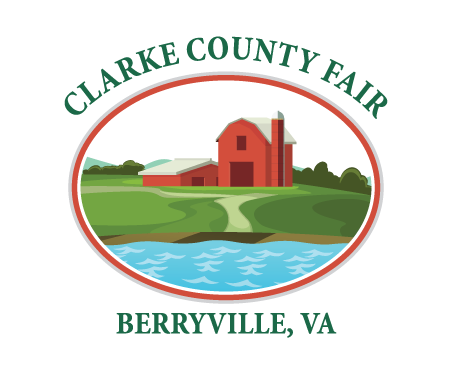 All horses entering the Clarke County Fairgrounds must comply with the Fair’s general health requirements. All Clarke County 4-H and FFA members are required to participate in a Showmanship Class. Special awards are given to the high-scoring Clarke County 4-H and FFA member in each Showmanship class. Showmanship is judged 50% on fitting and 50% on showing. All work must be done by the 4-Hor FFA member or with the assistance of other 4-H or FFA members. Senior exhibitors must present the horse braided or banded; this is not a requirement for Junior 4-H or FFA members. All judges’ decisions are final. Sportsmanship is the 4-H and FFA way. Rudeness on the part of exhibitors or family members will not be tolerated. Unsportsmanlike conduct may result in disqualification, loss of accrued points and ineligibility for show awards. All 4-H and FFA rules regarding safety while handling horses shall apply at all times. Any rider or mount demonstrating unsafe behavior may be excused by show officials. All riders must wear helmets for all classes, including Showmanship. Equipment may be checked for safety by any show official, and if there is a safety concern, the rider may be asked to substitute more appropriate tack. Dogs are not permitted by the show ring – leashed or unleashed. Ribbons and trophies for the 4-H and FFA Horse and Pony Show were donated by the Clarke County Ruritan Club and individual donors. The Clarke County 4-H Equine Clubs thank the Ruritans for their longstanding and generous support of the 4-H Horse Program. All horses in the barn must be current with the following immunizations: Eastern and Western encephalomyelitis, West Nile Virus, Tetanus, Flu-Rhino (EH1-4). THESE IMMUNIZATIONS ARE MANDATORY THIS YEAR. All 4-H and FFA barn entries must have been personally managed and cared for by their exhibitor, and exhibitors must submit a copy of their 4-H Project Horse Eligibility/Declaration form with their barn entry forms unless a substitute mount is being used. A substitute mount may be used at the discretion of the 4-H leader, who may request a Veterinary Certificate stating the original mount is lame, ill or otherwise unfit to be stabled at the Fair. 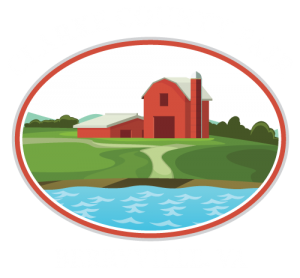 Barn entry packets will be mailed out to Clarke 4-Hand FFA members as well as 4-H and FFA members from neighboring counties. Preference will first be given to Clarke County 4-H and FFA members. Barn entry packets will contain an entry form, a 4-H health history form, a 4-H equine waiver and a form to be signed by a veterinarian stating the horse is current with all recommended vaccines and is in good health and a current Coggins test. Entries MUST be received by 8/1/18. All parents and 4-H leaders must have Extension Equine Waiver on file at Extension Office. At the mandatory pre-Fair Barn Exhibitors’ meeting stalls will be pre-inspected for nails, loose boards, and ground holes. Repairs will be made prior to the horses’ arrival on the Monday of Fair Week. Once stalled, horses must be wearing a break-away or leather halter, and a lead rope and a completed stall card should be clearly visible by each horse’s stall. A fire extinguisher or fire bucket must be available by each stall. Two water buckets should be clean and full at all times, and horses must have access to salt/electrolytes. Bedding must be kept clean and horses must be groomed thoroughly after riding. Failure to provide appropriate care for one’s horse after one warning will result in dismissal from the barn and from exhibiting in the 4-H Horse Show. Any horse demonstrating lameness or illness will be evaluated. If in the opinion of the 4-H leaders, the horse needs veterinary attention, an effort will be made to contact the horse’s usual vet; however, if that vet cannot be contacted, the veterinarian on call will be notified and the 4-H or FFA member will be responsible for reimbursement of services. Any horse who is deemed ill or demonstrates it cannot tolerate the Fair environment, i.e. begins to strike, rear, bite, or similar behaviors will be asked to leave. All attempts to find a substitute mount for the 4-H or FFA member will be made, but this cannot be guaranteed. Substitutions can only be made with the approval of a 4-H leader. Hard hats and proper footwear are mandatory whenever mounted. During exhibition hours, exhibitors at the barn must be appropriately dressed at all times. Appropriate dress means clean, safe, and workmanlike; appropriate footwear must have a closed toe and heel; sneakers are not acceptable. The dress code will be reviewed at the mandatory barn exhibitors meeting prior to the Fair. Exhibitors violating the dress code will be asked to leave the barn area and change before they can return. Lessons and clinics are mandatory unless permission is obtained from a 4-H leader. Unless requested by an instructor, exhibitors may only ride their own mount. All riders coming to or returning from the barn to the ring must be accompanied by an adult unless permission is granted by a 4-H leader. For safety reasons, riders may be asked to dismount and walk their horses to and from the barn. Exhibitors spending the night at the horse barn must have their parents sign a permission form. In addition, parents must inform the barn chaperone in person that the exhibitor plans to spend the night. Rude behavior and unsportsmanlike conduct is not consistent with the 4-H Code of Conduct, and it will not be tolerated in the barn area or in the show ring. 4-H and FFA members who cannot comply with the Code of Conduct will be given one warning, subsequent offenses will result in barn dismissal. The Winner of the division will receive a trophy donated by the Clarke County Ruritan Club. Saturday, August 17, 8:00 A.M.
*This show is an Associate Member of VHSA and DCareaHSA. Each VHSA class offered herin is covered by the rules and regulations of the VHSA rule book and will be conducted and judged accordingly. Champion and Reserve Ribbons in all Divisions that hold three classes. 6 Ribbons/Class. Warm Up in Ring 7:15-7:45 a.m.
LEAD LINE-Open to Riders 7 years and Younger. PRE-SHORT STIRRUP-Open to Riders 10 and Younger; riders may not cross-enter into any classes that canter. SHORT STIRRUP EQUITATION-Open to Riders 12 and Younger; may only cross-enter in short stirrup, hunter, pleasure, and trail. *VHSA ASSOCIATE HUNTER SHORT STIRRUP-Open to Riders 12 and Under. May not jump high than 2’ at this show. TRAIL CLASSES-Available at 10:00 a.m.; Held outside of the Ring. Purpose of this class is to show a good relationship between horse and rider. Entries may practice the obstacles before competing. Riders may enter as often as they wish, but must change mounts; entry fee/entry. Horses/ponies may be entered more than once, but with a different rider; entry fee/entry. Open to Junior Riders Only. Clarke County Pleasure Pony – Open to residents of Clarke County ONLY. Walk/Trot/Canter both ways of the ring and may be asked to back or other test. Winner is awarded the Ann Clay Memorial Perpetual Trophy and will keep a trophy donated by the Clarke County Ruritan Club. *VHSA ASSOCIATE GREEN PONY HUNTER-Open to Ponies in their first year of showing; to be ridden by Junior Riders Only. Open to all Ponies ridden by Juniors. donated by the Clarke County Ruritan Club. Clarke County Pleasure Horse – Open to residents of Clarke County ONLY. Horse to be judged at walk, trot, and canter both ways of the ring. May bbe asked to back or other test requested by the judge. Winner of this class is awarded the Perpetual Trophy donated by the Lewis M. Allen Riding Club and will keep a trophy donated by the Clarke County Riding Club. *VHSA ASSOCIATE GREEN HUNTER-Open to all horses showing in their first or second year. Winner of this Division is awarded a trophy donated by Clifford Hunt. Winner of this Division will be awarded the Perpetual “Awesome Guy” Trophy donated by Sylvia Wilson. An annual trophy is awarded by the Clarke County Ruritan Club. This award is presented annually to the overall high point youth winner, junior or senior 4-H member of the 4-H Horse and Pony Show at the Clarke County Fair. This award is limited to Clarke County 4-H members. The trophy will be engraved with the name of this year’s winner and retained until the following year when it will be returned and awarded to the new winner. A replica will also be awarded to each year’s winner to be kept permanently. Each year the Clarke County Ruritan Club presents a trophy to the 4-H Senior Champion High Point Winner and the 4-H Senior Reserve Champion High Point winner. JUNIOR CHAMPION HIGH POINT AWARD: Each year the Clarke County Ruritan Club presents a trophy to the 4-H Junior Champion High Point Winner and the 4-H Junior Reserve Champion High Point winner. CLARKE COUNTY RURITAN HORSE FITTING AND SHOWING AWARDS Trophies are presented each year by the Clarke County Ruritan Club to the first place winners from Clarke County in the Junior and Senior Fitting and Showing Divisions. THE 4-H FUN AWARD The Light Horse 4-H Pony Club will present an award to the youth having the most points in the games on game day. BEST KEPT STALL AWARDS In memory of James L. Ramey, Sr. an award will be presented to the Junior and Senior 4-H exhibitors who do the best job of caring for their animals while at the fair. Factors to be considered are neatness of stall area, cleanliness of animal at all times, care of equipment and personal appearance. Six or more entries are required. To be given at the discretion of the 4-H Horse and Pony Club leaders. These awards are sponsored by Lockwood Family. BEST KEPT TACK AWARD In memory of James L. Ramey, Sr. an award will be presented to the Junior and Senior 4-H exhibitors having the “Best Kept” tack. TOP DUDE’S PERPETUAL CHALLENGE TROPHY All 4-H members are eligible to try and win this trophy. All classes and mounts count towards the rider’s points. Top Dude was Renee Davis’s project horse for five years. A replica trophy will be awarded for the winner to keep. This award is sponsored by Barbara Byrd. “PINKY” AWARD In memory of James L. Ramey, Sr. an award will be presented to the Clarke County or Frederick County youth who displays excellent spirit of cooperation, enthusiasm, and conduct during the week of the fair. Given at the discretion of the 4-H Horse and Pony Clubs leaders. This award is sponsored by the Light Horse and Pony Club. GROOMING AWARD In memory of James L. Ramey, Sr. an award will be presented to the junior and senior 4-H exhibitors who present the best groomed horse or pony during the week of the fair. Given at the discretion of the 4-H Horse and Pony Clubs leaders. These awards are sponsored by Julie and Mary Willis. SPORTSMANSHIP AWARD Karen Fox and Dirck Holscher of Windy Ridge Farm will award a halter to the youth exhibiting the most sportsmanlike conduct both in and out of the ring, not only toward their own mount but towards other competitors, horses, judges and all others involved. To be judged by the 4-H Horse and Pony Club leaders. MOST IMPROVED AWARD This award will be presented to the youth who shows the most improvement during fair week. To be judged by the 4-H Horse and Pony Club leaders. This award is presented in memory of little Bucky. TIMEX AWARD Given to the rider who “takes a licking and keeps on ticking”; Sponsored by the Equine Enthusiasts.